Mamata Banerjee, who is currently in Delhi and holding meetings with opposition leaders, also said the trends indicated the outcome of 2019 general elections. 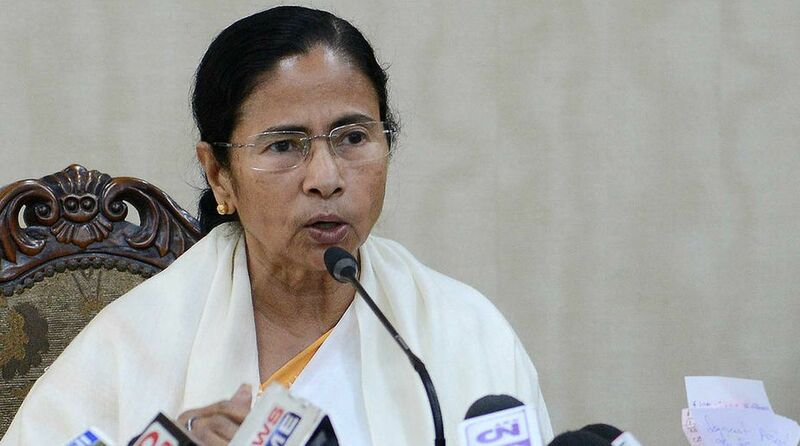 Reacting to election trends, West Bengal Chief Minister Mamata Banerjee on Tuesday said the BJP was nowhere in the “semi-final” ahead of the “final match” in 2019 adding that people were always the “man of the match” in a democracy. “People voted against BJP. This is the people’s verdict and victory of the people of this country. Victory of democracy and victory against injustice, atrocities, destruction of institutions, misuse of agencies, no work for poor people, farmers, youth, Dalits, C, ST, OBC, minorities and general caste,” she said in a series of tweets. The Trinamool Congress chief, who is currently in Delhi and holding meetings with opposition leaders, also said the trends indicated the outcome of the 2019 general elections. “Semifinal proves that BJP is nowhere in all the states. This is a real democratic indication of 2019 final match. Ultimately, people are always the ‘man of the match’ of democracy. My congrats to the winners,” she tweeted. The Congress on Tuesday appeared to be on the road to victory in BJP-ruled Chhattisgarh and possibly Rajasthan and was locked in a close fight in Madhya Pradesh while the Telangana Rashtra Samithi (TRS) was headed for a landslide win in Telangana, dealing a blow to the Congress. The Mizo National Front (MNF) looked set to unseat the Congress in Mizoram, the only state in the northeast the Congress was ruling. As officials counted the millions of votes polled in Assembly elections in the five states whose outcome is considered significant ahead of the 2019 Lok Sabha polls, there was good news for the Congress in the Hindi heartland. The Congress was headed for a landslide in the 90-member Chhattisgarh Assembly, with its candidates leading over their rivals in 58 constituencies to the 24 seats of the Bharatiya Janata Party (BJP), which has ruled Chhattisgarh and Madhya Pradesh for 15 long years. In Rajasthan, the Congress was ahead in 100 of the 199 seats and the BJP in 77. But Chief Minister Vasundhara Raje said she was still confident of retaining power. And in line with exit polls, the Congress had surged past the BJP in Madhya Pradesh, its nominees ahead in 115 of the 230 constituencies. The BJP was ahead in 104 seats. Chief Minister Shivraj Singh Chouhan seemed to be on the winning track. The Congress-led alliance in Telangana suffered a major blow as officials counting the votes predicted that the ruling TRS was poised to get a second five-year term with a landslide. TRS nominees had taken solid leads in 95 of the 119 constituencies, crushing the opposition. In Mizoram, the Mizo National Front (MNF) was leading in 25 of the 40 seats, a clear indication that the Congress was set to lose power after a decade. Congress candidates were leading in seven seats.